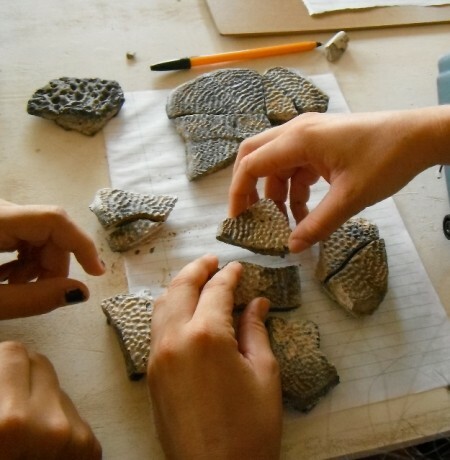 Yesterday students finally got to look at their fossils in more detail. 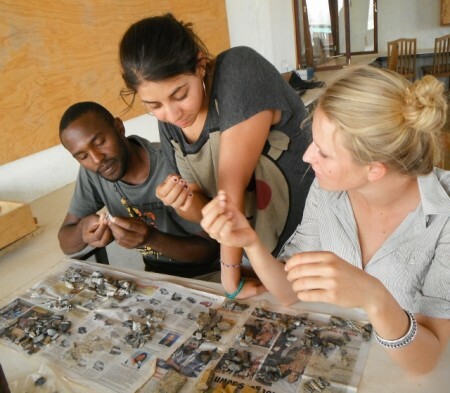 With the help of instructor Fred Grine and Meave Leakey, students did their best to identify, and piece together, the often very small bone fragments. 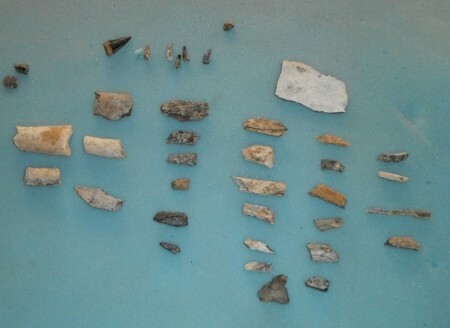 Finds ranged from mammal bones to crocodile teeth and turtle shells. 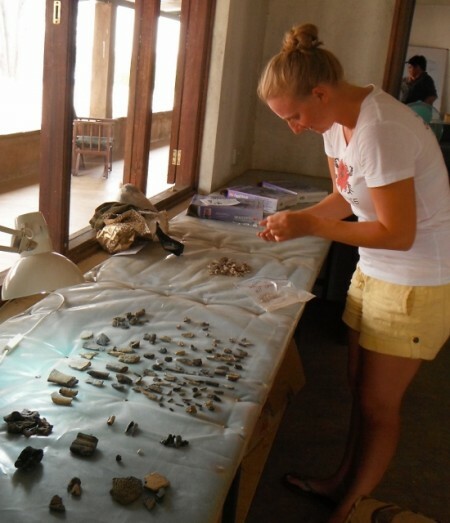 Brittany and Eli had found over 300 fragments! A typical assortment of fossils that were found by each student. Note the reptile teeth on the top. 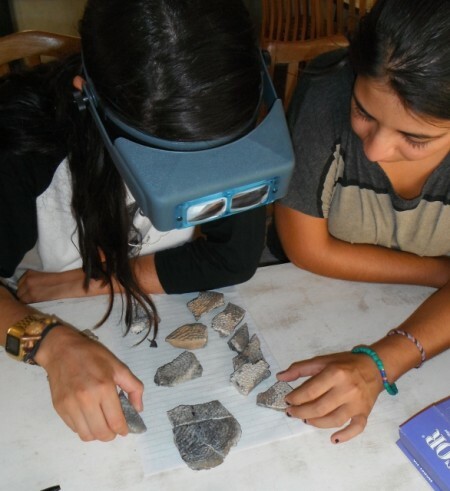 Marcela and Bean found lots of fossilized turtle shell fragments.